If you're like most medical groups or practices, you're probably facing some type of revenue stream obstacle. Maybe it's insurance companies dragging their feet on reimbursements, or maybe it's that your patients don't pay their bills on time. Or maybe it's actually the way you're handling your medical billing. 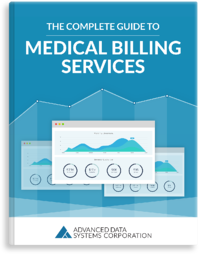 Today, medical billing has become so unwieldy, with hundreds of payers having thousands of different codes, nuances, and reimbursement calculations.